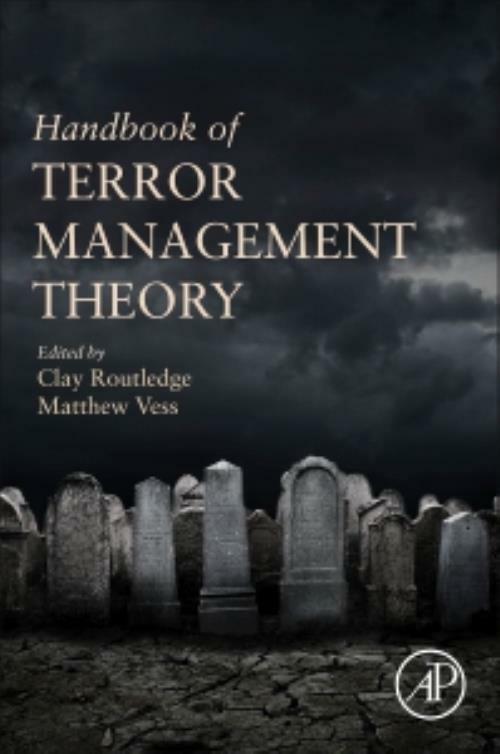 Handbook of Terror Management Theory provides an overview of Terror Management Theory (TMT), including critical research derived from the theory, recent research that has expanded and refined the theory, and the many ways the theory has been utilized to understand domains of human social life. The book uses TMT as a lens to help understand human relationships to nature, cultural worldviews, the self, time, the body, attachment, group identification, religion and faith, creativity, personal growth, and the brain. The first section reviews theoretical and methodological issues, the second focuses on basic research showing how TMT enhances our understanding of a wide range of phenomena, and the third section, Applications, uses TMT to solve a variety of real world problems across different disciplines and contexts, including health behavior, aging, psychopathology, terrorism, consumerism, the legal system, art and media, risk-taking, and communication theory. Dr. Clay Routledge is a social psychologist and professor of Psychology at North Dakota State University. His research focuses on the many ways that people gain and maintain perceptions of meaning in life and how these perceptions contribute to psychological and physical health. He has published over 80 scientific papers, including dozens of papers related to TMT. He co-edited a book on the psychology of meaning and authored the book Nostalgia: A Psychological Resource. His research has been funded by the National Science Foundation, the John Templeton Foundation, and the Society for the Scientific Study of Religion. Dr. Routledge's work has been featured by many media outlets such as The New York Times, CBS News, ABC News, BBC News, CNN, MSNBC, Men's Health, and The New Yorker. Dr. Routledge writes a popular online column for Psychology Today called "More Than Mortal, has served as a writer for a popular book series examining movie, television, and comic book franchises through the lens of psychology (e.g., The Walking Dead Psychology: Psych of the Living Dead, Star Wars Psychology: Dark Side of the Mind), has served as a guest blogger for Scientific American, and frequently serves as a guest expert for national and international radio programs. Dr. Matthew Vess is a social psychologist and assistant professor of Psychological Science at Montana State University. His research broadly focuses on the basic processes underlying the pursuit for self-relevant meaning and value. He has published over 25 papers in some of the very best journals in social psychology (e.g., Journal of Personality and Social Psychology), many of which are directly relevant to and/or inspired by TMT. Dr. Vess has also taught graduate level courses on existential experimental psychology and includes a dedication section to TMT in his undergraduate social psychology courses.